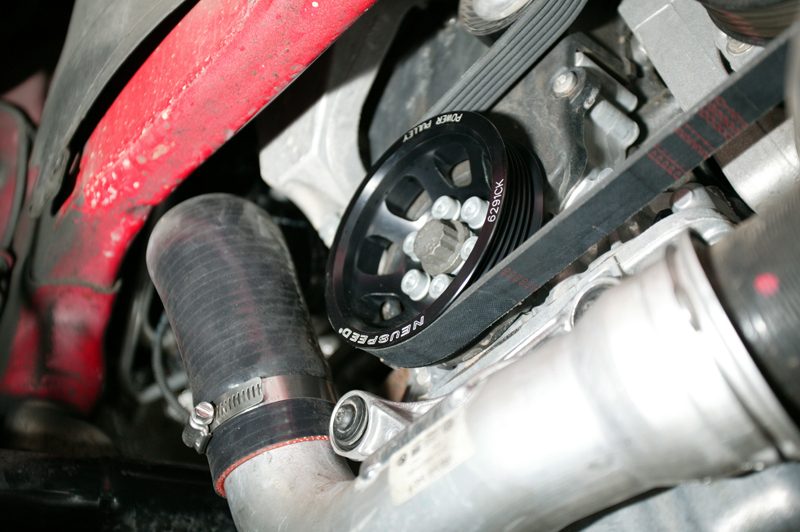 Your cars alternator is powered by a belt connected back to the crankshaft pulley. Spinning this pulley draws precious horsepower from your engine. NEUSPEEDs powertrain engineer, using sophisticated CAD software, performed a mass properties analysis of the crank pulley. The result is reduced parasitic drag on the engine and increased horsepower. 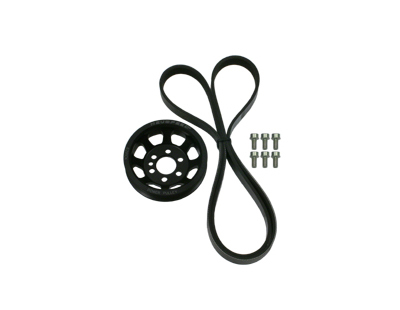 This kit includes a new crankshaft pulley and shorter belt. 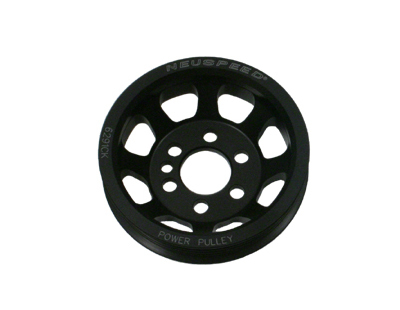 Like our other NEUSPEED Power Pulleys, the new crankshaft pulley is made from 6061 T6 aluminum and hard anodized for durability. Unlike color anodizing which is mostly cosmetic, hard anodizing builds up a hardened layer over the base material to prevent wear. -5 - 7 horsepower gain.